When buying a vacuum cleaner — whether upright, barrel, bagless or hand-held — consider your budget and size of your home. Our guide outlines different vacuum cleaners and features so you can choose the best one for your needs. Suction pump is located below the unit and bag is attached to a broom-like handle. 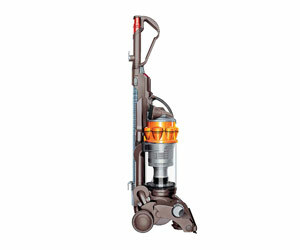 Generally, upright vacuums are very effective at cleaning deep-down dirt. Ergonomically easier to operate because the unit can be steered around by the handle. Difficult to use in narrow spaces or on stairs. Flexible hose connects to a wheeled canister unit containing the bag and motor. Barrel vacuum cleaners get into tight spaces during cleaning. Most have multiple detachable heads for different tasks. Compact size for convenient storage. Small, lightweight and generally battery-operated; can be used with one hand. Generally, a hand-held vacuum is not suitable for cleaning an entire house. The size of the area to be cleaned should determine the size of the vacuum cleaner you need. If you choose a model that is too small for your home, you will need to empty your vacuum bag more frequently. Be mindful to factor in the type of floor surface in your house, too; rooms with thick, shaggy carpets will fill up the vacuum cleaner faster. Lightweight vacuum cleaners are easier to use. And don't forget: make sure you have enough room to store your vacuum cleaner. The amount of electricity a vacuum cleaner uses is measured in watts. However, this doesn't always determine how well a vacuum works. It's how much of this power is converted into airflow that determines the vacuum's suction strength. 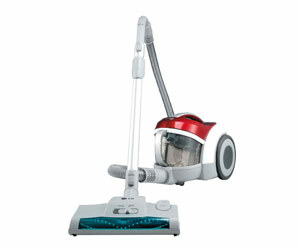 Most vacuum cleaners boast enough suction power for household cleaning. 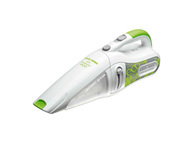 Some models have adjustable settings, which allow you to increase the suction power when necessary, including more delicate jobs such as cleaning curtains. What Should I Know About Vacuum Bags? Disposable vacuum bags can be thrown out when full and replaced with a new one. Reusable bags are environmentally friendly. Bagless vacuum cleaners use a container, rather than a bag. Power heads and turbo brushes are handy tools for thick, stubborn carpets. A power head is a motorised brush that helps remove dust from carpets; the rotating brush creates additional friction and suction to loosen ingrained dirt. 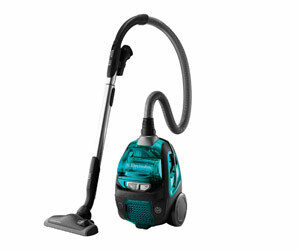 A turbo brush is similar, but is powered by the vacuum's airflow, rather than a separate motor. It stands for "high-efficiency particulate air filtration" and is an international standard for filters that trap tiny particles, such a pollen. This type of filter can help if you have asthma or dust allergy, but you have to clean or replace it regularly so it works properly. Adjustable head height: Allows you to clean different surfaces, such as carpet with different pile heights, floorboards and tiles. Telescopic wand: Adjust the wand to suit your height, so you don't have to bend your back as much. Retractable power chord: An extra-long, retractable cord so you can move between rooms without having to unplug and switch power points. 'Dustbag Full' indicator: Lets you know when the dust collector is full without having to open the vacuum. On-board attachments: For example, a crevice nozzle for narrow corners and around chair cushions, and an upholstery brush for curtains and soft furnishings. Reverse airflow: Handy for gathering dirt into one area, clearing the hose if it gets clogged, and inflating items like airbeds. Types: Upright, barrel, hand-held, steam and wet/dry vacuum cleaners. Size: The size of the area to be cleaned determines the size of the vacuum cleaner. HEPA: Filters that trap tiny particles, such a pollen. 'Dustbag Full' indicator: Eliminates the need for manual checking. Additional attachments: For narrow corners and soft furnishings.